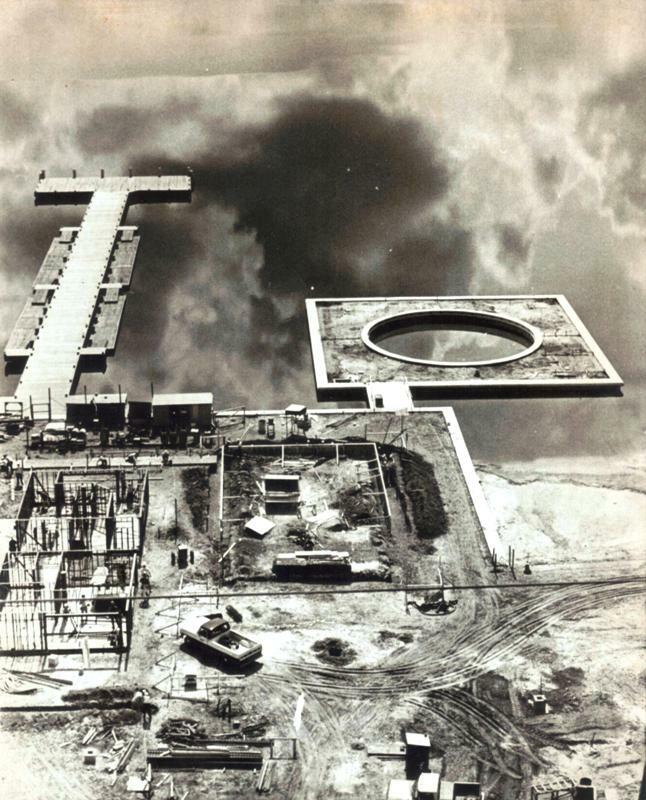 Thursday, July 8, 1971 – This is a view of the dock and teen swimming pool in the Bay Lake at Walt Disney World which is being built near Orlando in central Florida. The dock, recreational facilities and swimming pool may not be as exciting or notable as the monorail, 20,000 Leagues Under the Sea or even the resort itself, but how many guests made long lasting memories sitting on that dock at dusk or playfully splashing in the pool? It’s all a matter of outlook.